Running in Genoa, Italy. 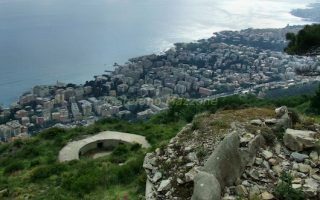 Best routes and places to run in Genoa. Genoa is a port city and capital of Italy’s Liguria region. The pretty and well preserved older town has an antique port, narrow lanes that open to grand piazzas, and alleyways leading to mountain roads and trails. There is wonderful running in Genoa, but it’s helpful to be familiar with the geography. Just up from the port, narrow caruggi and creuze lead to hillside roads, paths, and historic villas. 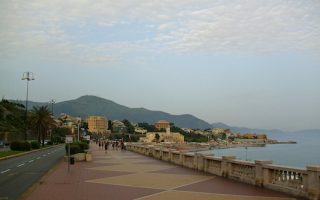 The best places to run in Genoa are a series of coastal roads and paths, including the Corso Italia, Passeggiata Anita Garibaldi, and Voltri-Verazze. In town, we’ve created a ‘runseeing’ tour of Genoa’s main sights, and a hillside promenade of the upper ring road. 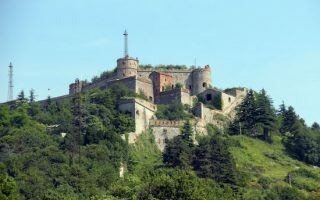 For a more challenging run, take the funicular and run by numerous forts in the Park of the City Walls or enjoy some of the extensive trails of Beiugua Geo Park. Further afield, we’ve created a running tour of nearby Pegli and the famous coastal road and trails around Portofino. It’s helpful to be familiar with the complex geography of Genoa. Right in the city, there’s a subway and buses, and in the hills, there are three funiculars, two rack railways, ten lifts, and lots of stairs. 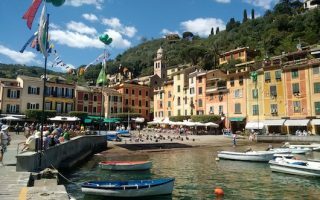 Trains allow for some great one-way runs, and connect to Pegli and Rapallo/Santa Margherita (for Portofino). 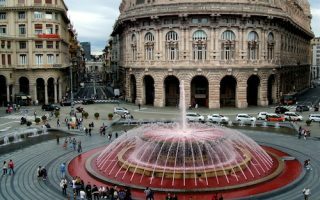 A 'runseeing' tour of Genoa's highlights, incorporating several popular walking routes. Includes the Old Port, Via Garibaldi, Palazzo Ducale, numerous important piazzas, cathedrals, and museums. 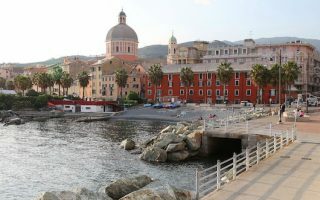 One of several pleasant waterfront promenades in Genoa, the Passeggiata Corso Italia runs between the Foce and Boccadasse neighborhoods, for a 5.2 km out and back. Wide, festive path with great water, city, and mountain views. Nice waterfront running east of Genoa. 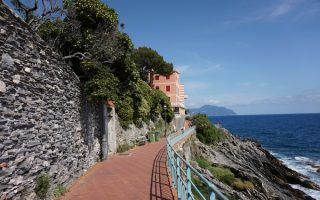 It's 6.6 km from Via Maggio to the end of the Passeggiata Anita Garibaldi in Nervi, with seaside views nearly the whole way. We've divided it into sections. Anita Garibaldi is the centerpiece. This promenade along the upper ring road from D'Albertis Castle to Manin is a nice opportunity to run in the hills just above the water without two many twists and turns. Interesting sites and views the whole way. 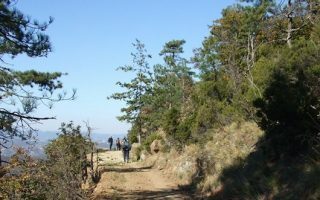 A unique run in the protected park set on a hillside between two valleys. Take the funicular from Genoa and then do a hilly route (road or path), passing several forts, ending at a different funicular for the ride down. Numerous exciting add-ons and alternatives. Fantastic coastal running route following a former train line, now a paved path. Great views of the water and rocks the entire 16 km one-way route. A great option is to run one-way and take the train back. The largest protected natural area in Liguria. There are some 500 km of trails, some great for running, others more for trail running or hiking. See our top recommendations. Park site has great info and downloadable maps. Pegli is a coastal town 12 km west of Genoa and worth a visit. We've put together a 6 km 'runseeing tour' of Pegli's highlights, including two signature Villas, parks, and a nice promenade along the water. 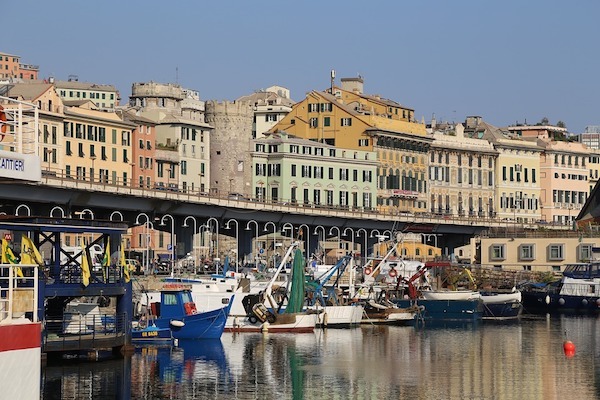 Popular coastal fishing village 30 km southeast of Genoa. 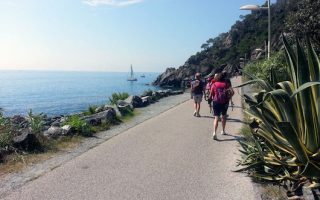 The signature run is the 5.5 km between Santa Margherita and Portofino. Beautiful views from well-sidewalked coastal road. Can also run additional 3.5 km to Rapallo. Tons of trail running opps in area. Genoa has a great climate for running. Winters are mild but somewhat rainy, with high temperatures near 10C (50F) and cool nights. Summer are warm but not hot, with high temperatures in the 27C (81F) range. It’s generally sunny and dry in summer and more precipitation in winter. There can be snow in the hills above. Genoa is a popular place to visit, as well as very much a working port. There’s an ample selection of hotels. Try to stay within a 1-2 km of the nicer coastal sections for an out your door easy run. The good transport system will also help navigate up and down the hills to good running options.